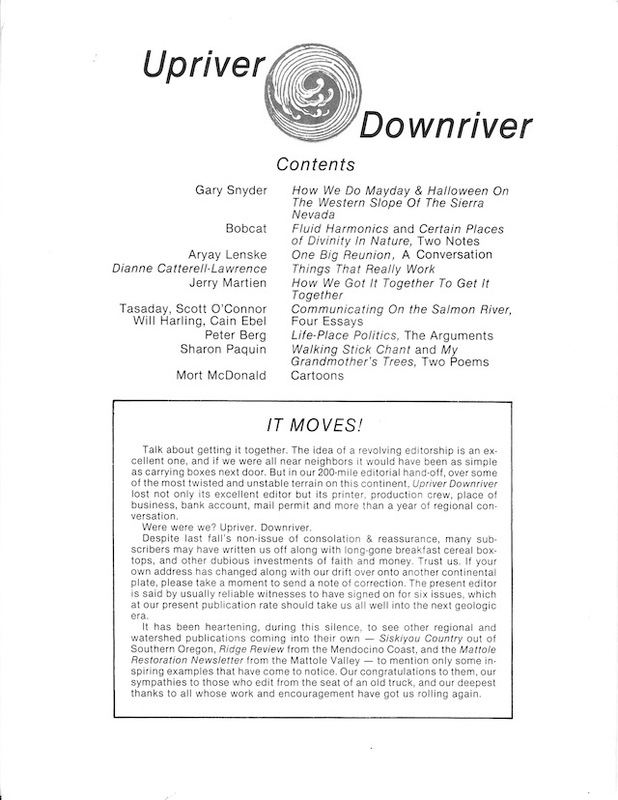 A few years ago, (Linn) Freeman House gave me an almost-complete run of Upriver/Downriver, the visionary/down-to-earth bioregionalist periodical published out of the “Shasta Nation” portion of Northern California in the late ’80s/early ’90s that he took part in producing. 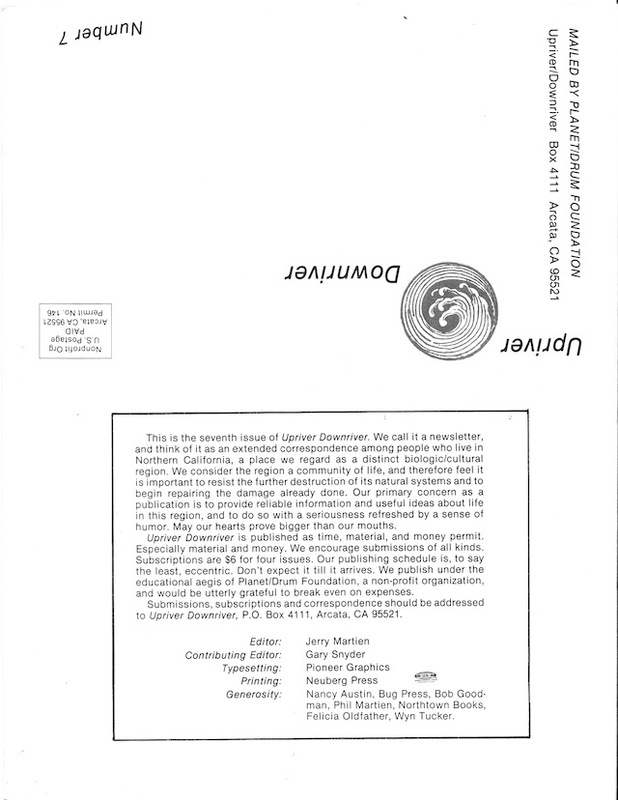 Here’s the TOC/cover and editorial note from issue 7. Something to emulate, yes?